Star Wars was the imaginative soil of my youth—a garden that a younger version of me spent countless hours playing in. The woods behind my house weren’t just a scattering of tall trees and long grass but the lush forests of Endor, and I didn’t weave through the trees running but rather racing through them on my speeder bike, dodging incoming fire from an AT-ST walker. When winter came and dumped an ungodly amount of snow on us, my afternoons were spent curled up in the trenches guarding the rebel base on Hoth, repelling the Empire’s daunting invasion force. In the decades that have passed since that time in my life, few games have ever managed to realize that sense of immersion I felt as I lay wet and cold on my belly in the snow taking shots at imaginary stormtroopers. Star Wars Battlefront is one of them. I just wish that beneath the near perfect recreation of the original movie’s brilliant vision was a game that was just as well realized. As a reboot of the Battlefront series of multiplayer shooters that originally appeared on PlayStation 2 and the original Xbox, Star Wars Battlefront is in a pretty awkward place. For one, it’s hard to look at its comparatively slim offering of content and not feel like this new Battlefront immediately pales in comparison to the hundreds of hours one could sink into Star Wars: Battlefront II. On the other hand, Star Wars Battlefront is, without a doubt, the most gorgeous and truthful recreation of George Lucas’s original trilogy that I’ve ever seen. It’s hard not to get swept up in the nostalgia that pulses through every second of every battle. The wail of TIE fighter engines overhead, the constant stream of blaster fire cleaving across the field of battle, and the triumphant swell of John William’s iconic score as you crush the rebel scum beneath you. It’s a testament to how pitch perfect Star Wars Battlefront looks and feels that there were times I felt perfectly content with ignoring the glaring flaws that are always apparent beneath its picturesque sheen. But those glaring flaws are there, and it wasn’t long until any childlike wonder I felt (and still feel from time to time while playing) was stripped away by the aggressively narrow design and lack of incentive to keep playing. For someone viewing the game at a glimpse, Battlefront looks and sounds incredible. But sadly, stick around long enough to actually play the game and you’ll slowly realize that Battlefront is far from the greatness that its presentation implies. As a shooter, Battlefront just isn’t great. Looking at the pedigree that its developer, DICE, comes from, you’d surely expect Battlefront to possess the same tactical breadth of its cousins in the Battlefield series of games. Yet Battlefront possesses so little of what makes those games great, forsaking all the depth of Battlefield for one of the most shallow online experiences available. Aside from the moment to moment shooting, there is a gaping lack of rewarding content or customization that really incentivizes you to keep playing once the lustre of Battlefront‘s incredible visuals begins to lose their punch. Most of the customization lies within “star cards” which, like the guns and other visual customizations, are unlocked through currency you earn competing in matches online and offline. There is a decent variety of star cards, of which you can choose three (with a second “hand” of cards to swap between during battle). Outside of your primary weapon, star cards are the main source of customization in Battlefront. Yet I never felt like I had too many toys in the toybox to play with. Instead, I found the combination that worked for me and never really felt incentivized to mix it up. Beyond your star cards and your chosen main weapon, of which there are about a dozen, there isn’t much customization. While there is a wide array of guns to choose from, there is no incentive to use a weapon beyond your favorite one, meaning once you unlock it you don’t really need to purchase any others unless you’re looking to collect them all. It’s a troubling theme in Battlefront: Find out what works for you and stick with it because the game fails to offer anything more enticing. The guilt doesn’t rest squarely on the shoulders of character customization, however. Looking at the menu, you might think that Battlefront is brimming with choices—and you’d be partially right. The problem is that a good half of the game modes available just aren’t that fun because they’re the ones that highlight just how mediocre of a shooter Battlefront really is. Furthermore, Battlefront seems troublingly intent on preventing any sort of overarching strategy between players on a team. With special power-ups and vehicles appearing randomly on the map, and with spawn points being chosen randomly, coordinating anything feels impossible. This is never more apparent than with vehicles, which highlight the lack of depth to the point where flying them feels futile. Flying is so simple that the process becomes a shooting gallery. If the enemy has a greater number of ships in the air, no level of masterful piloting will save you from them. Even worse, spawning in a vehicle flies you dead centre into the map, allowing enemies to easily get behind you before you can even steer. Walker Assault is easily the standout mode of the whole game as it best highlights the differences between Empire and Rebel forces while also offering the most dramatic and exciting moments. With teams of 20 players on a side, the action is frantic and explosive, emulating the battle scenes from the movies with jaw-dropping results. Sprinting through the trenches of the Rebel base on Hoth while X-Wings and TIE fighters exchange fire overhead, it is often hard to believe that the entire scene isn’t scripted. If you tire of online modes, there are singleplayer or coop missions you can undertake, though choosing to skip them entirely wouldn’t be much of a crime. 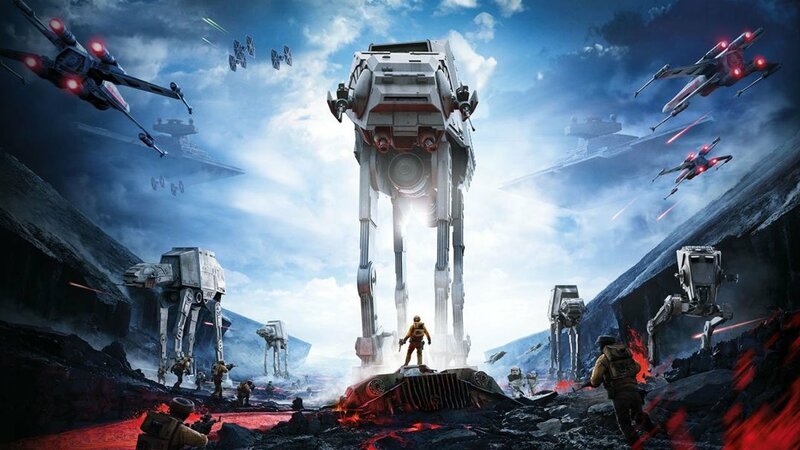 Instead of providing some much needed weight to Battlefront, they feel more like a concession made for a game that otherwise lacks any solo content. That isn’t to say missions can’t be challenging or intense, especially when fending off hordes of enemies in Survival, just that these modes continue to highlight how uninventive Battlefront is. So much of the appeal in Battlefront rests on moments of awe, but everything in between can range from frustrating to boring. 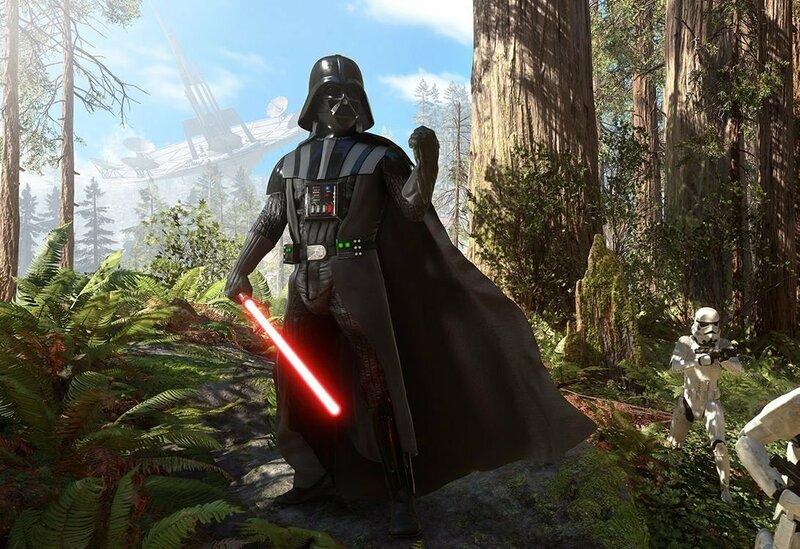 Without more customization or more strategy involved, Battlefront is all sizzle and no substance. Though those first hours made me feel like a kid again, it wasn’t long before I felt a little bitter at how constricting Star Wars Battlefront can be. With so many amazing shooters available right now, and with a new Star Wars in theatres in less then a month, Battlefront doesn’t exactly make a strong argument for itself. If you want to experience the best looking Star Wars game ever made, go for it. Just don’t be surprised at how so much nostalgia can go such a little way. For one, it's hard to look at its comparatively slim offering of content and not feel like this new Battlefront immediately pales in comparison to the hundreds of hours one could sink into Star Wars: Battlefront II.